What do you put in your coffee – sugar or sweetener? It’s a question that probably most people avoid, and even fewer people who know the difference between each type of sweetener – natural or artificial. Most would be tempted with the latter – getting the sweetness while dodging the calories. Before we know it, we’re consuming vast quantities of aspartame, sucralose and saccharin, things that many have suspected have an impact on our long term health. However, science has only been able to find slight hints of negative consequences but a new study may have you rethinking things. A team of Israeli scientists conducted a study last year suggesting that the continuous consumption of artificial sweeteners may be involved in a number of health problems — obesity and the long term health issues associated with it such as diabetes. While the study consisted of animal test subjects – in this case, mice, it also found a convincing cause of the problem – that artificial sweeteners alter the populations of intestinal bacteria used for directing bacteria, this indicates that humans could be at risk too. A surprising but well established fact is that people, just like mice, acquire their ability for digesting and harvesting nutrient energy from food with the help of not only genetic makeup but from by the continuous activity of trillions of microbes living inside our digestive tract; a collective group known as the gut microbiome. The new Israeli study implies that these artificial sweeteners actually have an enhancing effect on certain populations of gut bacteria – the ones that draw energy supplements out of food and then convert it into fats for storage. In this experiment, 10-week-old mice were administered daily doses of either aspartame, sucralose or saccharin. An additional cluster of mice served as a control group, fed on water laced with either glucose or sucrose. When 11 weeks elapsed, the mice given the sugar did well compared to their counterparts on the artificial sweeteners. The latter group showed abnormally high blood sugar (glucose) levels, which shows that their tissues experienced difficulty absorbing glucose from the blood. This state, known as “glucose intolerance” can bring about a number of health issues, such as diabetes and an increased risk for liver and heart disease. The condition is reversible, however. The mice were then given broad-spectrum antibiotics to eliminate their gut bacteria colonies entirely. Shortly after, the microbial population reverted to its initial makeup and balance, and along with it the blood glucose control. 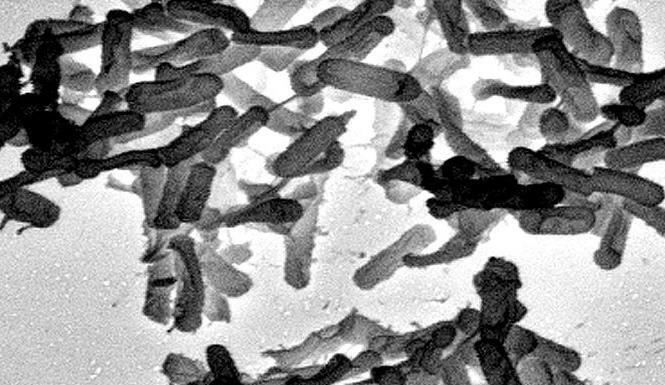 “These bacteria are not agnostic to artificial sweeteners,” says computational biologist Eran Segal of the Weizmann Institute of Science in Rehovot, Israel, one of the study’s two lead scientists. The real surprise, however, is that microbial populations who did the best with artificial sweeteners were identical to bacteria colonies found in the stomachs of genetically obese mice. Jeffrey Gordon, who is a physician and biologist at Washington University in St. Louis, has conducted research supporting that this relationship among bacteria and obesity is more than just coincidental. Over 90 percent of gut bacteria is derived from one of come two subgroups — Bacteroidetes and Firmicutes. Gordon discovered years ago that those mice who have genes triggering obesity contained 50 percent less Bacteroidetes related bacteria and 50 percent more of the Firmicutes strain than was found in normal mice. Transmitting the Firmicutes into normal mice (who produced the appetite limiting gene leptin), saw them becoming obese. Perhaps this bacterial phenomenon happens in people too. Gordon later learned that populations of Bacteroidetes increase and Firmicutes bacteria decreases, when obese patients went through diets to lose weight. So do artificial sweeteners really make us sick? At least in a few cases, it’s somewhat likely, according to Segal. For one phase of his study, Segal’s team analyzed a database consisting of 381 men and women. They learned that the patients who used artificial sweeteners on a regular basis were in fact much more likely to be overweight than those who did not. The comparison didn’t stop there though. These patients also had a higher likelihood of impaired glucose tolerance. Obesity itself is a risk factor for this impaired tolerance, a condition that can later lead to diabetes if not kept in check. The pattern is there, but it does not necessarily show that sweeteners caused the problems on their own. Its possible that people already obese are just more apt to eating more artificial sweeteners than most people. So Segal’s team took things a step further, where they analyzed the correlation as it affected a small group of lean and healthy human volunteers – people that typically abstained from artificial sweeteners. They were then given the maximum dose recommended by the U.S. Food and Drug Administration for an interval of five days. Afterwards four out of seven subjects exhibited a reduced glucose response in connection to the abrupt shift in their gut microbes. As for the other three volunteers whose overall glucose tolerance did not show declines, neither did their levels of gut microbes. Not everyone seems to be vulnerable to the effect, but the study is an ambitious one that’s left a bit to consider. The Israeli group’s conclusion, from their paper, suggests that “artificial sweeteners may have directly contributed to enhancing the exact epidemic that they themselves were intended to fight” – causing many people to become overweight and sick from the complications that often result from excessive consumption of sugar. There may be a cause-and-effect chain revealing a pattern from sweeteners to microbes to obesity that may reveal some questions about human obesity, said New York University’s gastroenterologist Ilseung Cho, whose field of expertise is the function gut bacteria play in human disorders. Often when people go from sugar to low-calorie sweeteners, they do it to lose weight, and often fail to lose it in the way they expect to. “We’ve suspected for years that changes in gut bacteria may play some role in obesity,” he says, but distinguishing the effect has been difficult. “Whatever your normal diet is can have a huge impact on the bacterial population of your gut, an impact that is hard to overestimate. We know that we don’t see the weight-loss benefit one would expect from these nonnutritive sweeteners, and a shift in the balance of gut bacteria may well be the reason, especially a shift that results in a change in hormonal balances. A hormone is like a force multiplier—and if a change in our gut microbes has an impact on hormones that control eating, well, that would explain a lot,” said Cho. As with any good study, there is a host of questions left to be answered. Cathryn Nagler, who is a pathologist at the University of Chicago and an expert on gut bacteria and food allergies, said that the degree of human genetic variations may bring the practice of testing mice into further questioning. “Still, I found the data very compelling,” she said regarding the artificial sweetener study which she was not a part of. Relman has agreed that rodent studies do not always best reflect the same changes in humans. “Animal studies can point to a general phenomenon, but animals in these studies tend to be genetically identical, while in humans, lifestyle histories and genetic differences can play a very powerful role,” he said. The microbial collection within the body though reveals quite a long road map of both genetic and environmental patterns of behavior. “The microbiome is a component intertwined in a complex puzzle,” Relman added. “And sometimes the genetics is so strong that it will override and drive back the microbiota.” Genetic variation may be the reason that only four out of the seven people who were given saccharin showed changes in their levels of gut bacteria. Genetics however, is only one out of a myriad of possible factors. Should someone have a genetic predisposition to obesity and then consume a regimen of foods that cause obesity, these microbes may be able to use such a diet to their own advantage, thereby amplifying their impact. The Israeli researchers have yet to determine whether there is sufficient evidence that effectively links artificial sweeteners to metabolic disorders, however, along with other scientists, they are thoroughly convinced that the presence of saccharine has a significant effect on the stability of the digestive microbes our stomachs depend on. “The evidence is very compelling,” said Turnbaugh. “Something is definitely going on.” Segal has already switched to natural sweeteners only for his coffee.